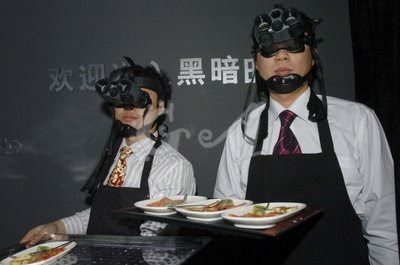 Beijing has opened its first "dark restaurant". The idea is that by eating your food in complete darkness, it will all taste better (or worse, I imagine), because depriving one sense heightens the others. The waiters wear night-vision goggles, and the bathrooms are lit, if that makes the experience seem any less scary.